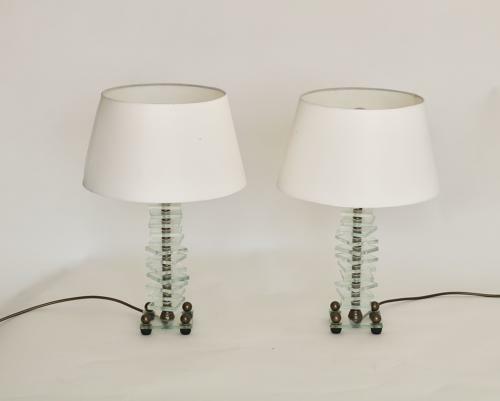 Fabulous pair of lamps from France circa 1950. Glass base with brass ball finials, tiers of glass interspersed with brass. The tiers of glass can be rotated to create the look you like. The lamp shades are modern made to order cotton, measuring 30 cm wide and 18 cm high. The lamps without the shades are 35 cm high to the single lamp holder.